Follow Hanuman to Get to Know Asia: The “Follow Hanuman to Get to Know Asia” section consists of an amphitheater providing the audiences with a richer knowledge of Asia. 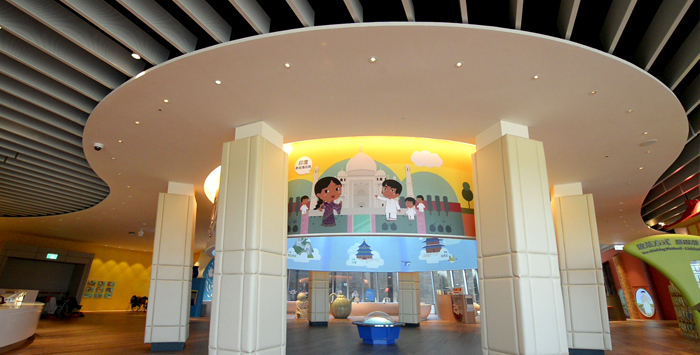 Here we take advantage of a 360 degree circular theater to provide children with a truly immersive experience. The film “Follow Hanuman to Get to Know Asia” shows Asia through the eyes of Hanuman as he guides audiences on a tour of Asia’s unique scenery, customs, peoples, festivals, and architecture. He explains the characteristics of Asia’s diverse cultures and combines this with the food, clothing, housing, and modes of transportation found in people’s daily lives all across the region. 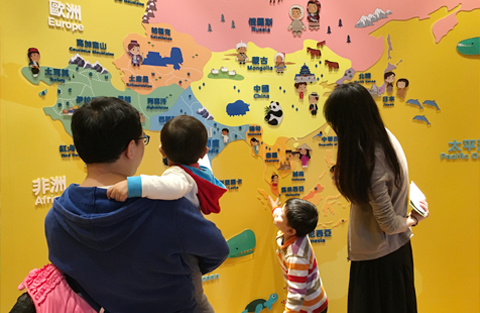 In so doing, we hope young children can better grasp the rich diversity of Asia through the process of comparison and contrast. Each presentation of “Follow Hanuman to Get to Know Asia” is followed by a short animation on Asia’s cultural heritage and its characteristic architecture styles. Visitors can take photographs outside the amphitheater and have them uploaded onto the screen where their faces can be displayed together with those of prominent individuals from around Asia. 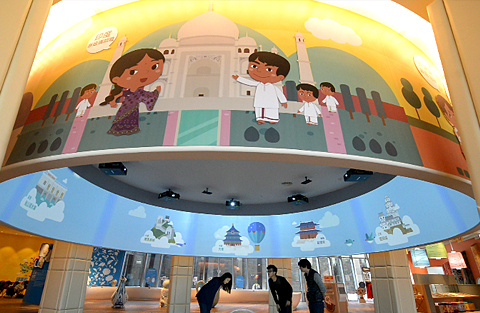 This interactive process further encourages and deepens visitors’ appreciation of Asia.